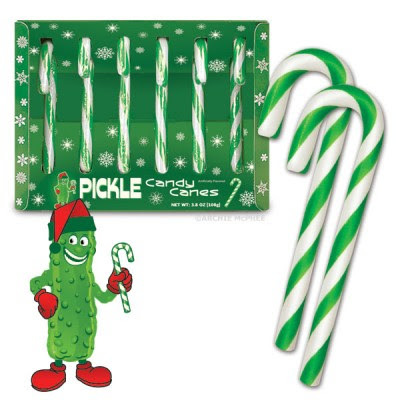 I read today on the Jezebel blog about the newest Christmas treat: Pickle Candy Canes. I can't imagine the flavor in this distinct form. I must find some of these to test. Have any readers experienced the holiday joy of a Pickle Candy Cane? Excuse me, I think my mouth is turning inside out.